Welcome to Complete Bamboo, a collection of articles and resources dedicated to the advancement of bamboo. Our mission is to spread the knowledge and appreciation of bamboo throughout the world. We have compiled a vast ensemble of articles and resources to help you gain a better understanding of the cultivation, ecology, and benefit of bamboo. Complete Bamboo is a work in progress and we would welcome any contributions or suggestions you can offer. All content on this site can be distributed freely through a creative commons license. Become a fan of Complete Bamboo on Facebook!! Have questions about bamboo? Become a fan on our facebook page and post your questions. We will do our best to help you solve bamboo problems and answer any random questions you have. Use the menu on the left side of this page to navigate the website. Below is a list of the main article categories covered on the site. Bamboo Biology - Taxonomy, Anatomy, Identification, and more. Bamboo Basics - General information and FAQs. 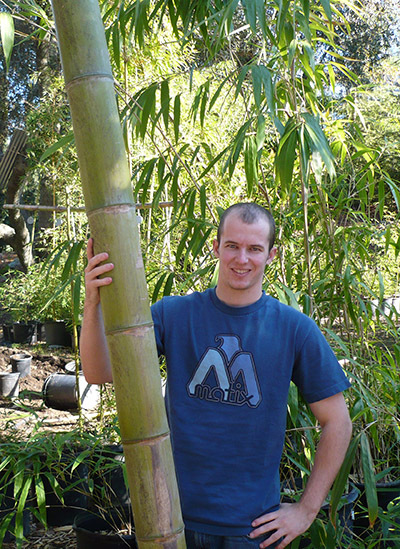 Growing Bamboo - Learn how to grow and care for bamboo. Buying Bamboo - Tips for purchasing bamboo for your home or garden. History of Bamboo - The cultural impact of bamboo throughout history. Species List - A database of bamboo species and their characteristics. Bamboo Books - A collection of useful bamboo books. Bamboo Products - Common bamboo products. Get a guide for growing just about any type of plant at Complete Garden Guide. A great resource of organic gardeners. 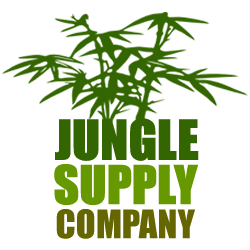 Jungle Supply Bamboo Co of Northern California is a our preferred supplier of bamboo plants. We highly recommend that you check out their nursery for your bamboo needs. Buying bamboo plants can be a tricky process. There are hundreds of different species available throughout the world. First, you must determine whether you need a running of clumping bamboo. Next, you will have to find the variety of bamboo that will thrive in your climate. Check out our bamboo buyer's guide for more details. Giant Bamboo Poles. Grown organically in Northern California. Picture of the Week! Giant Bambusoides Pole. 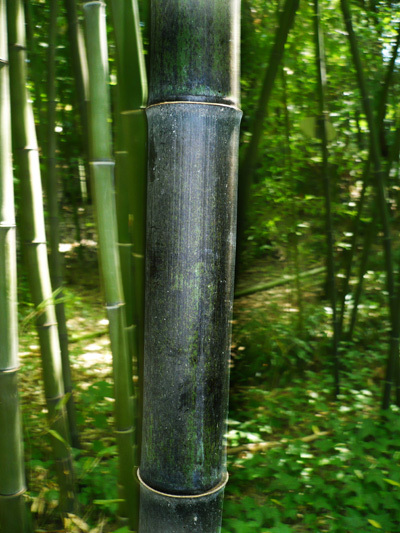 Phyllostachys nigra, or more commonly "Black Bamboo" is perhaps one of the most beautiful species of bamboo in the world. The picture below was taken in Northern California in a plant that is approx four years old. Learn more about black bamboo here. Picture of the Week! Black Bamboo Cane. In our opinion, bamboo is the most beautiful plant growing on the planet. Not only is it ravishing in appearance, but it also serves as a valuable resource to mankind. The benefits it yields to society are vast; ranging from medicine to weaponry. Its utility and value has been a significant theme in Asian literature for centuries, and this notion is rapidly spreading into the western world. Bamboo literally has thousands of practical functions, including flooring, furniture, lumber, and art, just to name a few. As the consequences of human expansion continue to become more apparent in today's world, we look to bamboo as a global elixir to heal our distressed planet. Bamboo is the fastest growing hardy plant in the world, and can colonize an area 3 times faster than a typical pine forest in the United States. Growing bamboo in a garden or landscape is an wonderful choice for you and our planet.